Spots and acne can be a nightmare at any age. Most of us will indentify it with adolescents – all those spotty teenagers 🙂 – but the truth is that they can come back to us later in life as well. Hormonal disturbance can trigger a comeback of an outbreak. Quinoderm offers a selection of product to help us battle spots and acne. 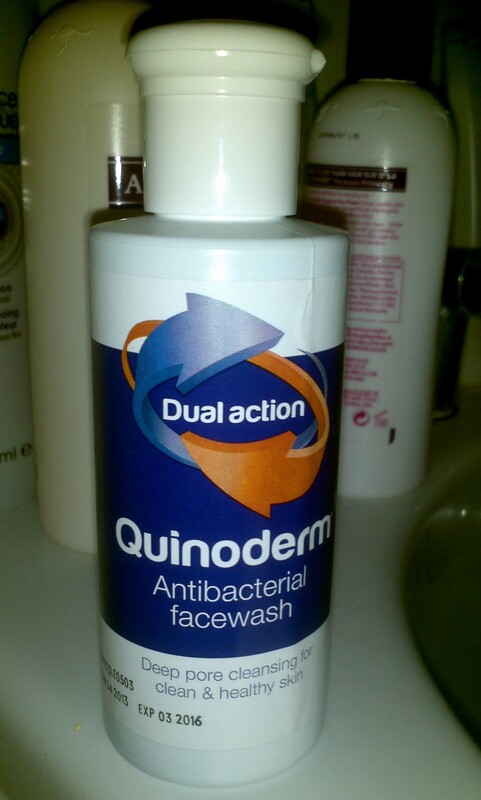 One of their products is a Quinoderm Antibacterial Face Wash which I had the pleasure to try out. 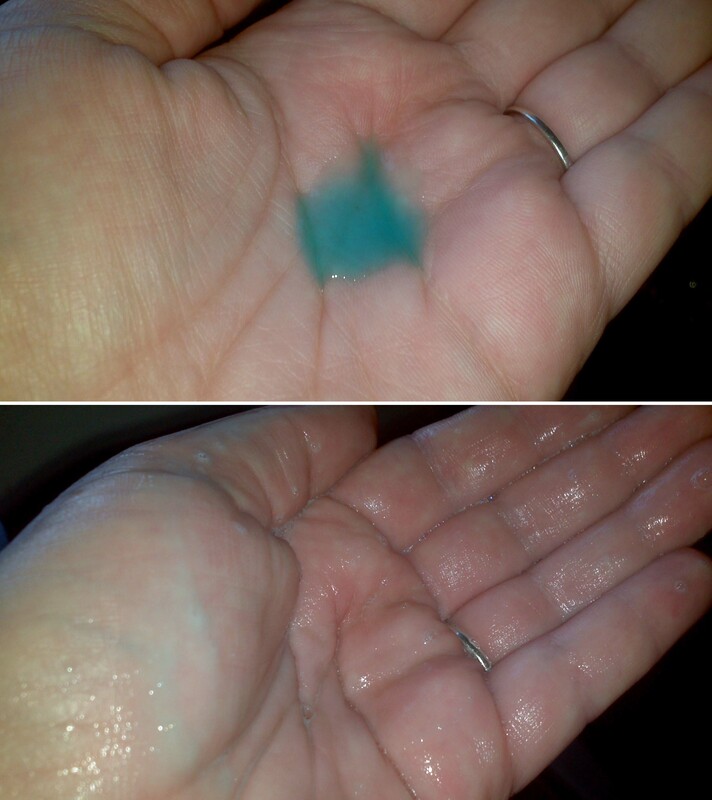 So Quinoderm Antibacterial Face Wash is blue and it smells of mint. It works well, I think. It left my skin feeling clean and for sure very fresh. I have been using it once a day for about two weeks now and I am very happy with the condition of my skin at this point. The only advice for anyone with a dry skin using it, do not forget to use moisturiser afterwards, as it will dry out your skin a bit. I left my face bare, on purpose, on a few occasions to see if it would make a difference, and it did make it drier than usual. What was surprising for me was the fact that is doesn’t foam so much. Normally a face wash “grows” when connected with water and a massage motion, but Quinoderm Antibacterial Face Wash doesn’t. It is easy to spread but it doesn’t form tones of foam, which is nice and I really like it for that. If you are in need of an aid to help you battle acne I would suggest visiting Quinoderm website or their Facebook page or Twitter feed. Quinoderm product can be purchase from Boots or a Lloyds Pharmacy or one of the many online chains selling healthcare products. Doing a quick search I found Quinoderm Antibacterial Face Wash for as little as £2.25 (per 150ml bottle), which for something which will help us to stay pretty and spot free is a real bargain. Did you ever try any of Quinoderm products? Do you have any tips how to win the fight against spots? I received one 150ml bottle of Quinoderm Antibacterial Face Wash for free for review purpose. All opinions expressed in this review are honest and my own. Thanks for sharing this. I had not heard of it before and am going to check it out. Another fabulous review Agata. I, touch wood, have never suffered with spots. I love the smell of mint! Gonna have to check this stuff out! It sounds good, I may buy some of this for my son, he has teenage spots. Thanks for a great review. I haven’t had a breakout since I was a teenager until I was pregnant. UGH! Luckily, no more kids for me! But, yeah, it STINKS!